They hit hard, leap high, and run like a freight train when hooked, which is why hundreds of anglers converge each fall on rivers in the Grand Rapids-area hoping to hook a steelhead. Muscular and feisty, the chrome-colored fish begin running up Lake Michigan tributaries in late October and spend most of the winter in them feeding, very often waiting until spring to spawn. Anglers know they are readily catchable. 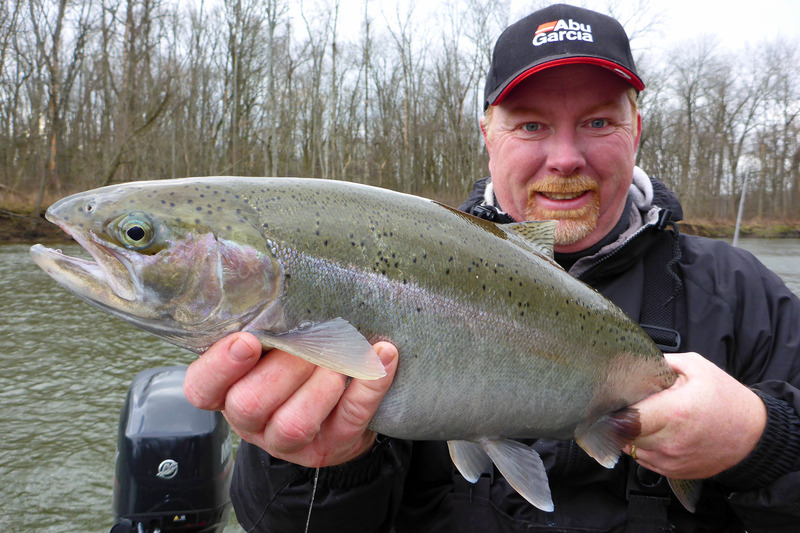 To learn more about what they are using and where to fish for them, check out my latest story on the City of Grand Rapids blog, called Experience GR Blog: Feisty Fishes: Fall and Winter Steelhead Fishing in Grand Rapids. This entry was posted in Uncategorized and tagged Fish, Fishing, Flat River, Grand Rapids Michigan, Grand River, Rivers, Rogue River, Steelhead. Bookmark the permalink.